Before I got the Endo courier bag from Spire I had never heard about this company before. 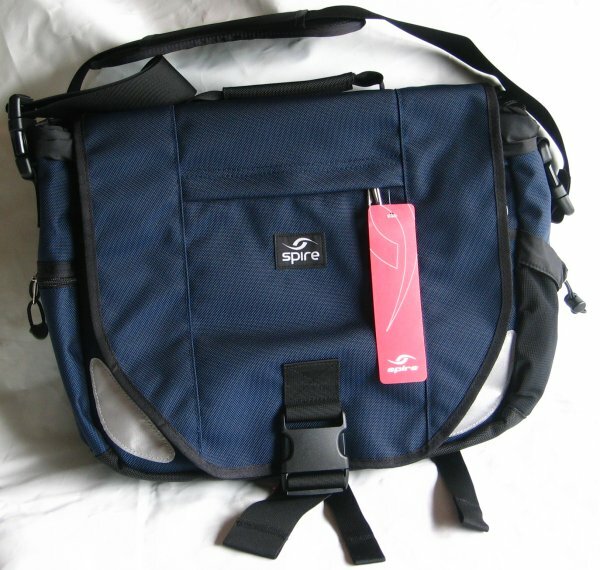 Spire is a small U.S. company that makes laptop bags and accessories, according to their about page their goal is to design and manufacture the finest laptop backpacks and bags on the planet. Spire has three different courier bags: the Viro, Endo and Mojo. 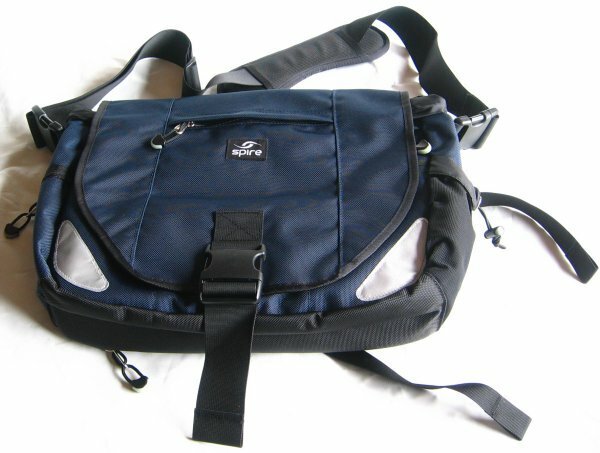 The Viro is the cheapest model, this bag costs $80 and is designed for small widescreen notebooks sized up to 14.1". The Endo costs $10 more and is a tad bigger so you can use it to carry 15.4" size notebooks while the Mojo bag costs $100 and can fit large 17" widescreen notebooks. In this review I take a closer look at the 2008 model of the Endo but you could also use this review to learn more about the Viro or Mojo as besides the difference in size all three bags seem to be identical. You can get the Spire courier bags in three colors: Cosmic Green, Midnight Blue and Stealth Black. I picked the Midnight Blue version. The front of this bag is blue, the back is black and as you can see on the picture the front has two die-cut reflective ovals to keep you safe in the dark. Laptop Compartment: 14.5" x 10.5" x 1.5"
External Dims: 16.0" x 12.0" x 5.0"
The front features a big single-buckle closure and you can also see one of the first of many pockets that this bag houses. As you'll notice in this review this bag truly has a lot of pockets and by the way, all zipper pulls on this bag glow in the dark! The bag measures 16.0" x 12.0" x 5.0" and at 2.2lbs it's pretty lightweight. The back of the bag is black, just like the rest of the exterior it's made out of 1680 Denier Ballistic nylon. 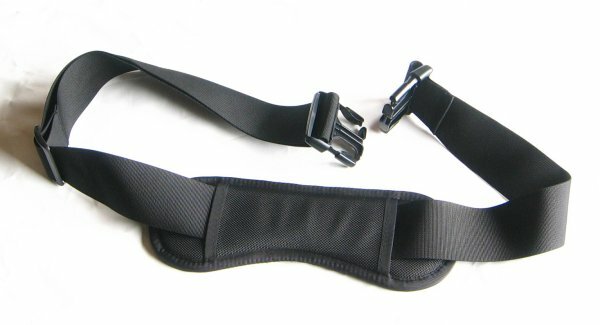 The bag has a pass-through for rolling luggage handles and on this picture you can also see the removable waist strap which you can use for extra security. 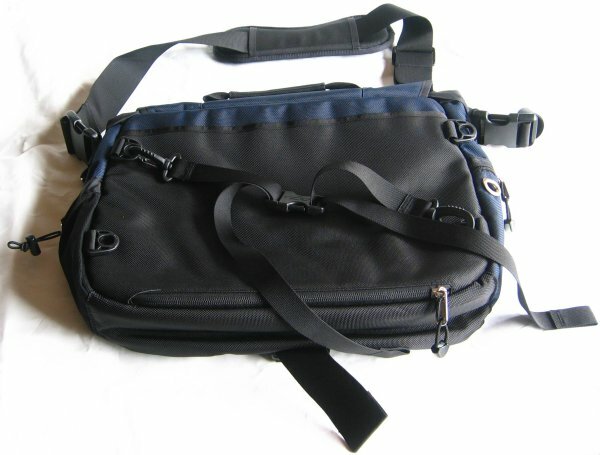 The shoulder strap is padded and is attached to the courier bag with two big buckles. The shoulder strap is made out of foam and feels pretty stiff. This is one of the things I don't really like about this bag, the overall look and feel of the Endo would be a lot better if the bag featured a gel-infused shoulder pad. Those pads provide more comfort during long trips.